Do you enjoy knitting or sewing? 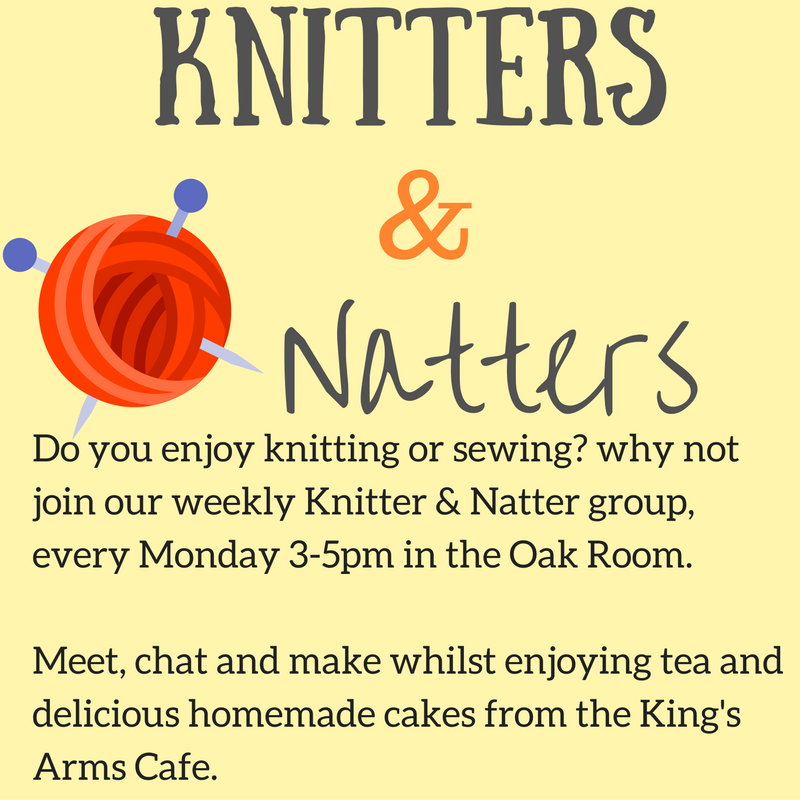 Why not join our weekly Knitters & Natter group, every Monday 3-5pm in the Oak Room. Meet, chat and make whilst enjoying tea and delicious homemade cakes from the King’s Arms cafe.